The two Patidar leaders also know by now that a large part of the Patidar show in Ahmedabad was spontaneous than orchestrated, and that they have to do something spectacular to deserve the Patidar crown. 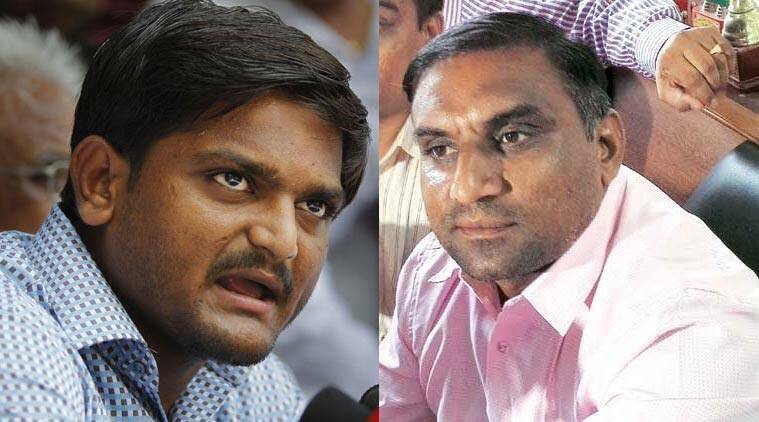 The Patidar agitation for quota, after the high decibel and volume of a week ago, appears to be quickly disintegrating under the pressure of electoral politics, its younger leader Hardik Patel’s rush for national spotlight and a diminutive and reluctant older leader Lalji Patel. The cracks started showing up even before the participants in the August 25 massive show of strength, could make up their minds on who would lead them from the front, to their apparent target of a share of the quota pie in colleges and government jobs. Doubts are also emerging on the plan to achieve it, with neither the Patidar Anamat Andolan Samiti (PAAS) whose convenor is Hardik Patel, nor the Sardar Patel Group led by Lalji Patel, making even a token effort to move the designated OBC commission. Both leaders have got busy pacifying the angry Patidar community, which lost eight lives and face serious criminal proceedings in some cases. Both leaders have been calling those who died in the violence “martyrs” but failing to convince about the cause of their martyrdom. (Lalji also declared August 26 as ‘Patidar Shahid Din’ ). The Gujarat police has filed nearly 295 FIRs in the cases of violence that ensued, and nearly 650 persons have been arrested, majority of them Patidars, mostly from Ahmedabad, Mehsana and Surat. Demands of the Patidar leaders seeking action against the police officers whom they have charged of atrocities, has not yielded much action from the state government. Hardik who till last week, was vocally advocating violence as an optional means, is now talking peace and Gandhi and plans to do a Dandi Yatra in the second phase of the agitation. He also seems to be belatedly convinced that it was not Mehsana, but Surat where real potential of the Patidar showed in the August 17 rally, and is now trying to shift his agitation base from north Gujarat to Surat. A reason for this shift could be because north Gujarat is more of Lalji’s constituency. For the BJP, it was a life sized mirror and a lesson learnt. After allowing the agitation to build up over 149 rallies in 55 days, the party realized that its bond with the community, which has the largest number of political representatives, had collapsed. Patels are known to cast their votes for Patels and in the absence of a Patel candidate in the constituency, in favour of a candidate who is on the right side of power. But with the NOTA option available, it could not let this formidable votebank of the young and the Patidar, waste or be hijacked. To cover up their faults, the BJP leaders are already running campaigns to convince the community that the agitationists “betrayed” them. “You wait and watch, the turnout will be a just a handful compared to the GMDC ground show in Ahmedabad”, says a senior BJP leader, about Hardik’s upcoming “Dandi Yatra”. This leader who is also a Patidar, is confident that the party’s Patidar constituency is safe, though not completely unscathed. So, it is a case of Lalji Patel losing the plot to Hardik Patel who might soon be losing the plot to the power of the Patel index. 2 Some perplexCity: Sounds Smart, but what does it really mean?